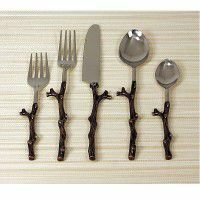 Welcome to our Rustic Dinnerware and Kitchen Decor Category. 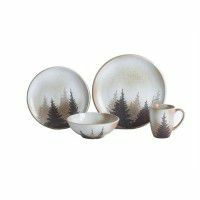 Here we offer a large selection of cabin and lodge dinnerware, stoneware and dish sets to complement your cabin decorating needs. 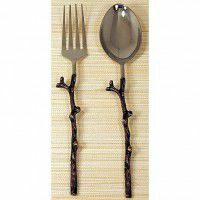 Our dinnerware sets feature black bear dishes, moose dishes, and elk, deer and fish dish sets. 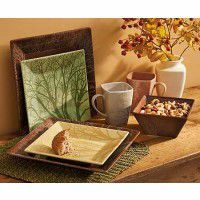 Our lodge style stoneware features pine cone, leaf & acorn, and other wildlife dish designs. 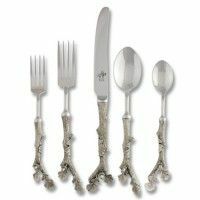 At The Cabin Shop you will also find antler flatware and rustic table linens and glassware which make perfect accessories to our lodge dinnerware sets and will complete your rustic table decor.